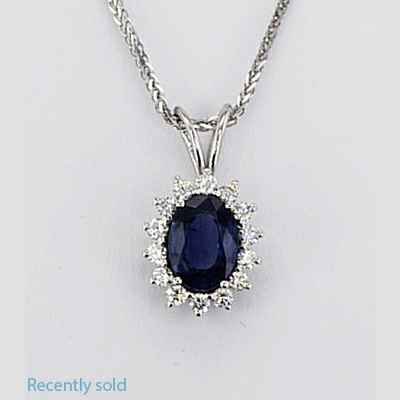 Sapphire pendant, Sapphire necklace. 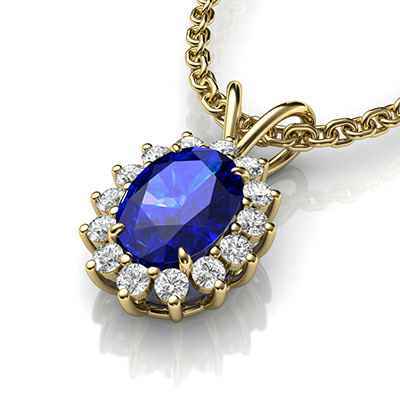 Price includes chain of same metal.Diamonds are Very-Good to Ideal-Cut for maximum brilliance. 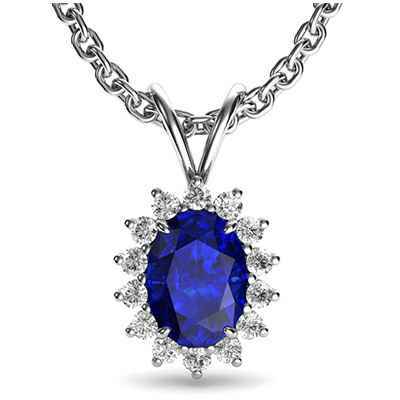 Price includes 18"chain of the same pendant metal. Surrounding diamonds areVery-Good to Ideal Cut for maximum Brilliance and sparkle!! 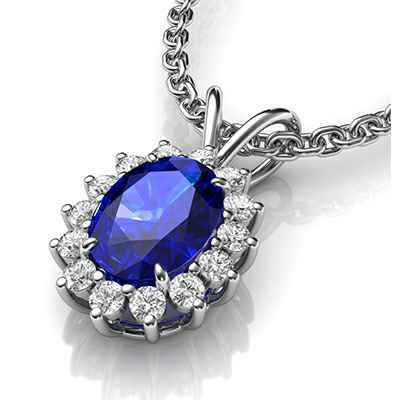 "..extremely impressed with the service you provided..what i wanted, how i wanted, when i wanted .UK"